A one-time Registration fee of AED 500/- is due at the time of application submission to Amity School Dubai which is non-refundable and non-transferable. An additional Medical fee of AED 500/- is applicable for Pre K admission. Parents must inform the school in writing if they intend to withdraw their child for any reason atleast 2 weeks in advance. If the student attends school for two weeks or less, one month fee will be deducted. If the student attends school for a period ranging between two weeks to one month, two months fee will be deducted. If the student attends school for more than a month, three months fee will be deducted. In the cases of both existing and new students, deposits and fees will not be refunded if students choose not to return to school for the next academic year or choose not to take the offered places. However, a school must refund the deposit under special circumstances.These circumstances includes, but are not limited to, evidence of family travel to another country, a move to another Emirate or any unforeseen circumstances. Such cases may be submitted to KHDA for study. 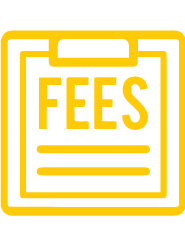 For any queries pertaining to fees, please contact the Accounts department via email on cashier@amitydubai.ae , or call us on +9714 204 1008.